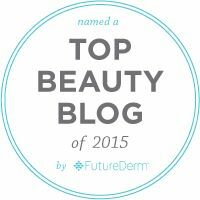 Today I have, to share with you a lovely bit of holiday magic for your cheeks. 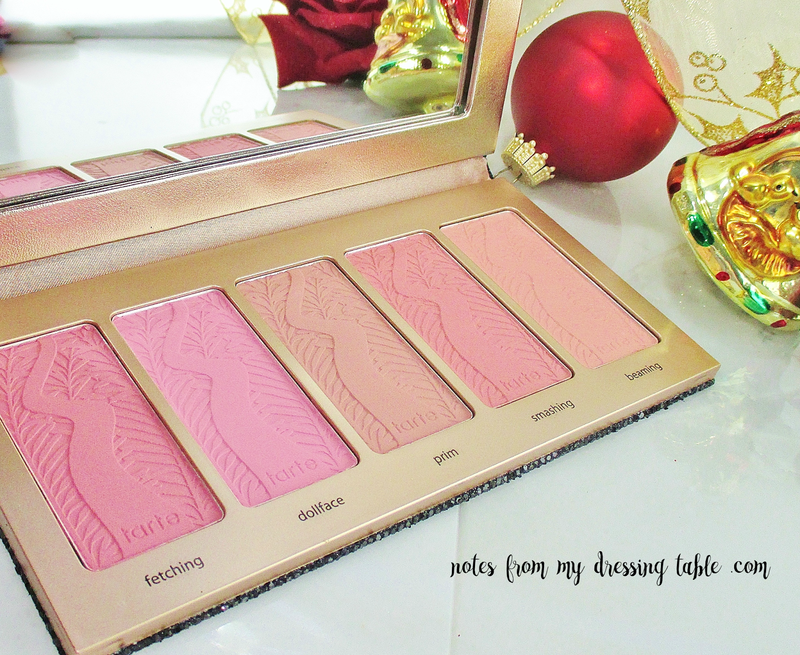 Last year, I was lucky enough to score the Tarte Sweet Dreams Pin Up Girl Blush Palette before it sold out. I love just about everything about that palette so I knew that as soon this year's version landed, I had to have it. 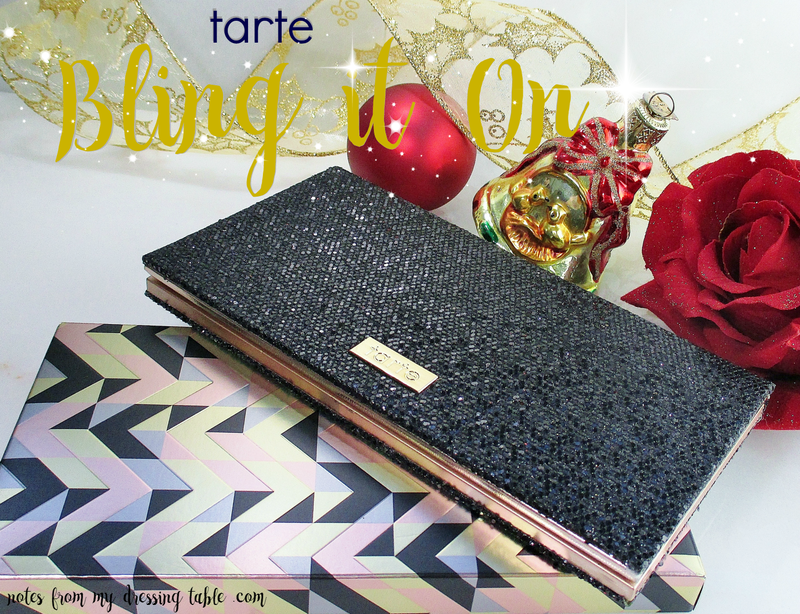 The Tarte Bling it On Amazonian Clay Blush Palette is limited edition just for Holiday, 2015. Five flattering, full sized Tarte Amazonian Clay blushes are set in a chic, sturdy paperboard palette trimmed in rose gold, black glitter and a signature gold logo plaque. There is the expected mirror in the lid and, in a very welcome change the shade names are printed on the frame below each blush so that one doesn't have to worry about keeping track of that stupid plastic slip cover. Well done! I appreciate how sleek and compact this particular palette is however, I am not terribly fond of those glitter bits shedding off here and there. The shedding would make me disinclined to pop this palette into a bag and take it along. Observe, closer up the loveliness that is the five shades in the Bling it On Amazonian Clay Blush Palette. Four of the shades are matte, one, Beaming is softly shimmery. There is one shade that is a repeat of last year's Chic to Cheek set; Prim. Must have been super popular! Here are the shades and swatches. The swatches are on lightly moisturized skin and are in the same order as they live in the palette. 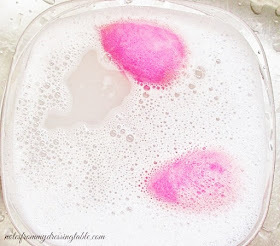 Okay, These blushes are lovely. Soft, smooth, pigmented, they apply and blend like a dream and wear like iron all day long. I bought my Tarte Bling it On Amazonian Clay Blush Palette from Sephora. 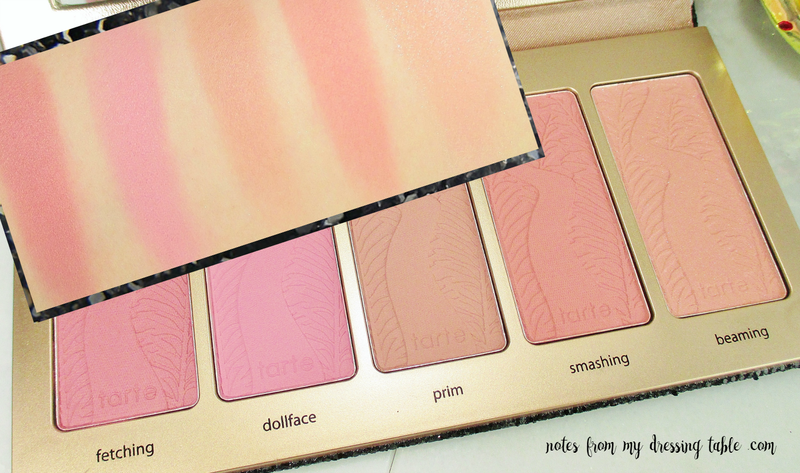 Tarte is cruelty free, this palette is free of Parabens and Phthalates. Have you picked this pretty thing up, yet? Planning to do so? What shades are you most excited about?